Right to Buy news from the website propertywire.com. The scheme has seen the UK gain 40,000 new home owners in the last three years. Enough to be called a success? This is yet to be seen. A new target of a million new homes to be built in England has been declared by Brandon Lewis, according to the BBC. £1 Million Price Tag For Average London Home By End Of 2020? rightmove.co.uk have speculated whether the average London home will cost a staggering £1 million by the end of 2020. 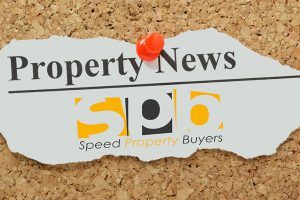 More from the website propertywire.com. The UK house price index shows that the UK asking prices reach a new record of £294,834 in the UK. Great insight into Alec Baldwins world from zillow.com. He’s selling his amazing Greenwich Village Apartment. The telegraph.co.uk have released images from one of London’s most penthouses, where you can canoe from your front door! News outlet theguardian.com has revealed that the average UK flat has been steadily increasing in price since 2005 and now cost £233,400. The telegraph.co.uk have revealed some of the best postcodes in England to raise a family. rightmove.co.uk have showcased Dawn French’s Cornish holiday let, it has some very stunning interiors. theguardian.com Virginia Wallis has answered a question that plagues many families after a passing of a loved one, how do we split the interited property. Nigel Wilson of the telegraph.co.uk has claimed the best way to help young buyers is to help the old downsize. The website rightmove.co.uk have released their top 5 tops for investing in property in the UK. More news from theguardian.com. The house price gap in London is now at the highest for 20 years compared to other major UK cities. huhmagazine.co.uk have show cased the beautiful luna lamp, that looks like a moon!